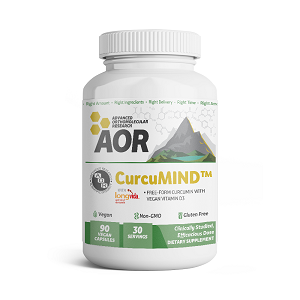 Each 3 capsules of Curcumind contains: - 333 IU Vitamin D3 (vegan, from lichen) - Optimized Curcumin LONGVIDA (400 mg Curcumin) Other ingredients: ascorbyl palmitate, microcrystalline cellulose, soy lecithin, stearic acid, maltodextrin, silicon dioxide, tocopherols, corn starch, sucrose, sodium stearyl fumarate. Capsule: hypromellose. 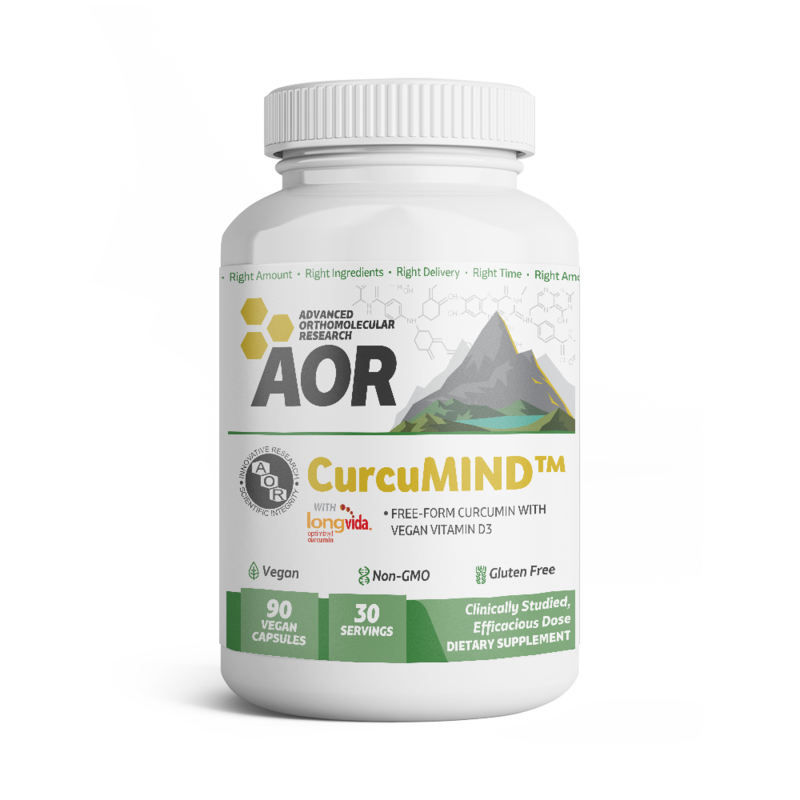 "CurcuMIND provides a small amount of vegan vitamin D3 with a high dose of fast-acting Optimized Curcumin. Many conditions for which curcumin is helpful have also been shown to benefit from vitamin D supplementation, especially since both have powerful effects on the immune system and on the brain. Both vitamin D and curcumin have been shown to support mood, cognitive function and brain health." Consult a health care practitioner prior to use if you are pregnant, taking antiplatelet medication or blood thinners, or have gallstones, a bile duct obstruction, stomach ulcers or excess stomach acid. Consult a health care practitioner if symptoms persist or worsen. Take up to 3 capsules three times per day, or as directed by a qualified health care practitioner. The anti-aging benefits of calorie restriction? The original nanocolloidal silica hydride. The most powerful green tea. The most bioavailable form of curcumin. A new approach to bone and joint health.